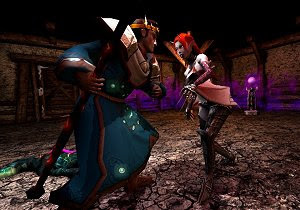 Dungeon Empires is a free-to-play MMORPG inspired by the classic Dungeon Keeper series. In this game the player is a dungeon master and has to build rooms and place traps to keep any heroes and treasure seekers away from your riches. Your creatures need to be well-trained and sharp to prevent any foes from succeeding and the more you do, the more famous and sought-after your dungeon becomes. Be the ultimate dungeon master!